Windows RT is known as Windows on ARM and its a version of the Microsoft Windows operating system for ARM devices like tablets. It will run software including Windows RT,Microsoft Word, Excel, PowerPoint and The name Windows RT was announced on April 16 - 2012. Microsoft has released minimum hardware requirements for new tablet and convertible devices designed for Windows RT.There are five types of buttons for Windows RT are- "Power", "Rotation lock", "Windows Key", "Volume-up", "Volume-down". 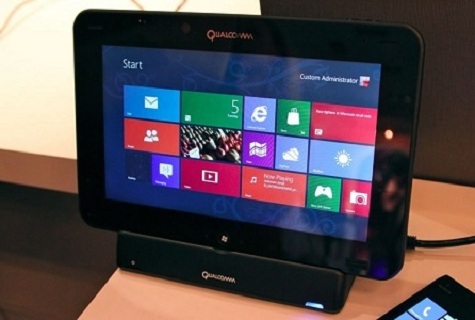 and Microsoft requires that Windows 8 touch PCs use digitizers supporting the touch points. The software giant's first operating system optimized for ARM-based processors is expected to arrive as part of Microsoft's Windows 8 launch later this year. PCMag asked industry analyst Pat Moorhead, principal at Moor Insights & Strategy to give us a company-by-company breakdown of what to expect from Microsoft partners when Windows RT arrives. According to Moorhead Nvidia is in the lead amongst the handful of chip makers working with device makers to ready Windows RT products.They were the only chip maker to show a real, production ready Windows RT system with one of their partners at Computex.